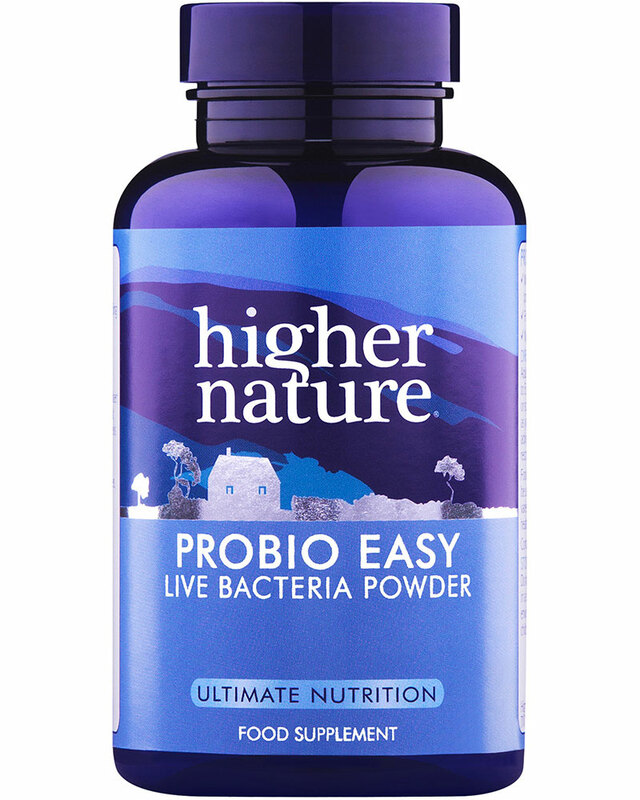 Higher Nature Probio-Easy - Ideal for children or adults who don’t like capsules & useful after infection or as a daily supplement. 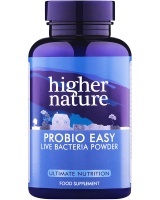 Friendly bacteria in powder form to sprinkle on food. Probio-Easy is Ideal for children or adults who don’t like capsules, and useful after infection or antibiotics, or as a healthy daily supplement. Take 1⁄4 to 1/2 level teaspoon Probio-Easy a day, with water, juice, or sprinkled on cereals (children under 2 years, half a dose a day). 16mg Lactobacillus acidophilus, Bifidus infantis, Longum, and Brevis. Formulated with these natural ingredients: Maltodextrin, vitamin C, lemongrass, glutamine. Salt, soya, yeast, lactose, dairy products, artificial preservatives, colours or flavourings. Milk-free.